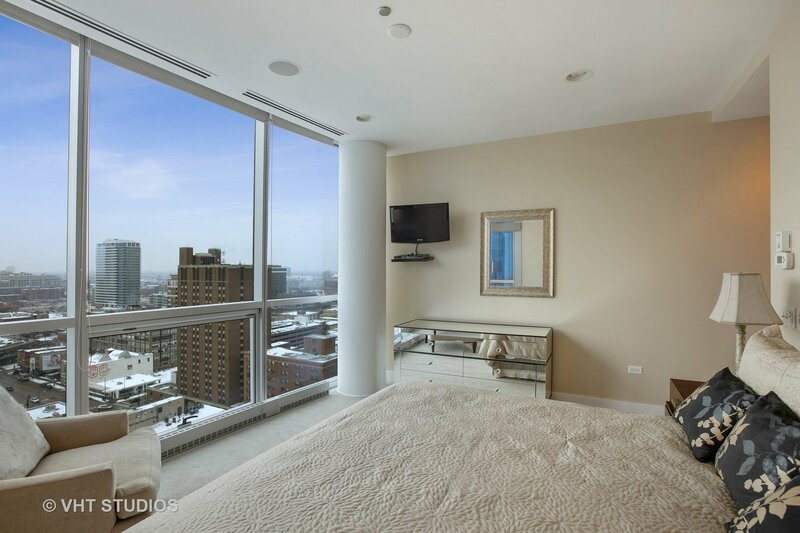 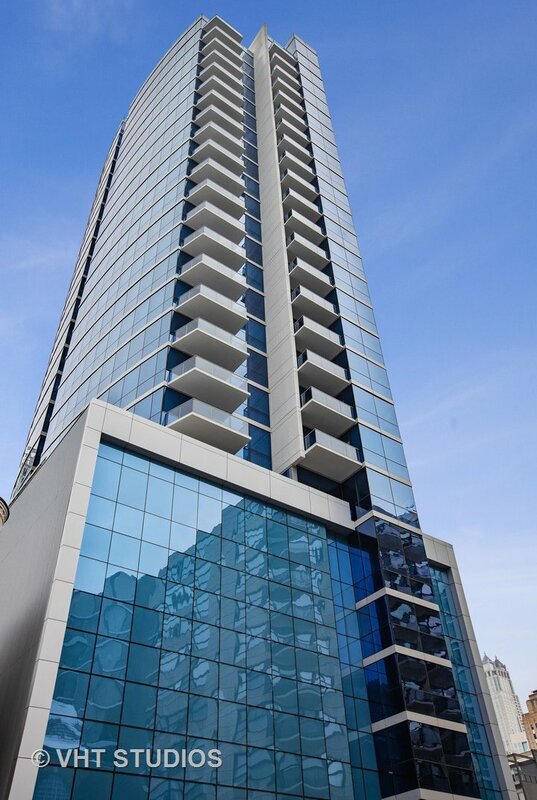 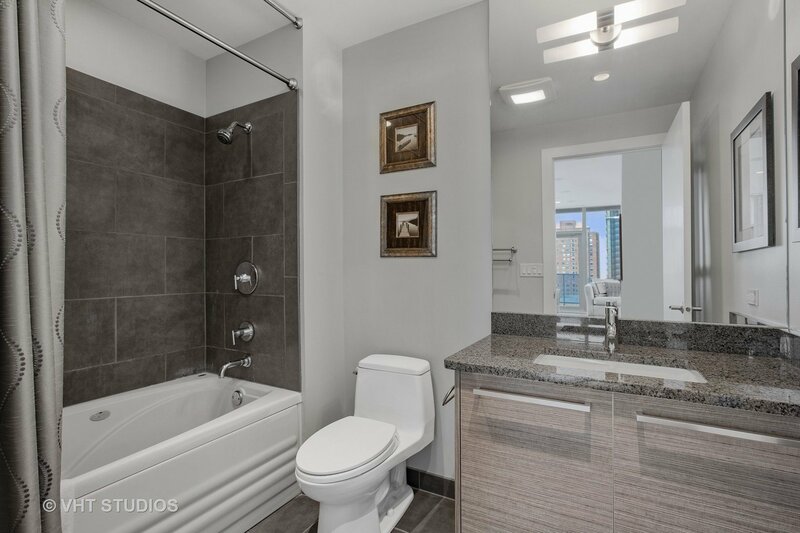 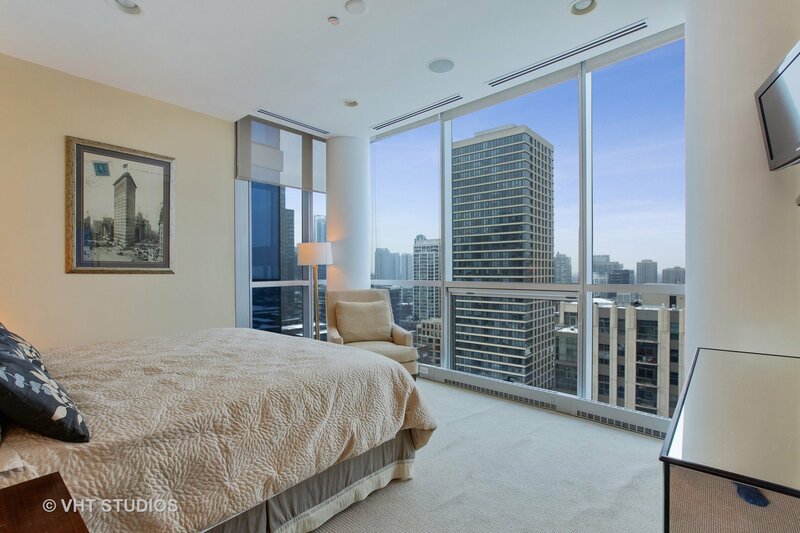 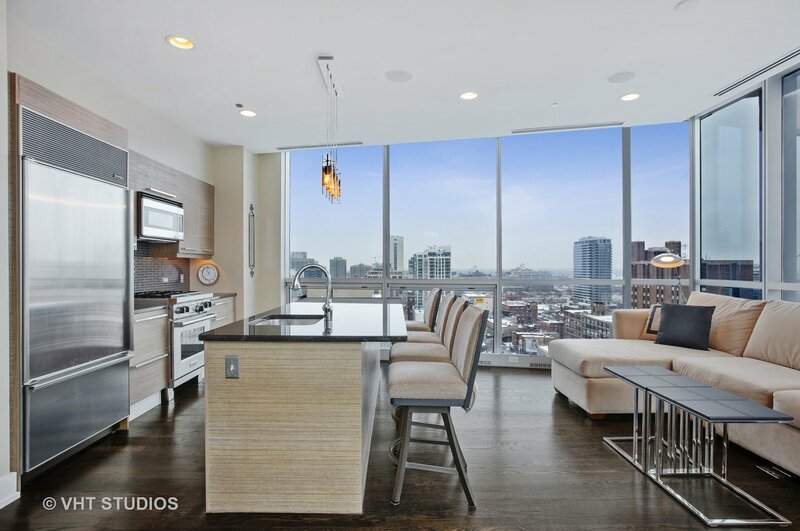 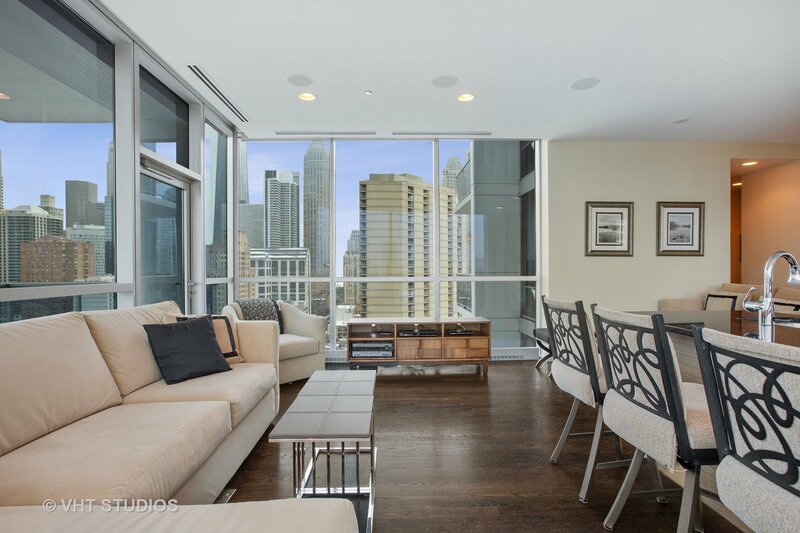 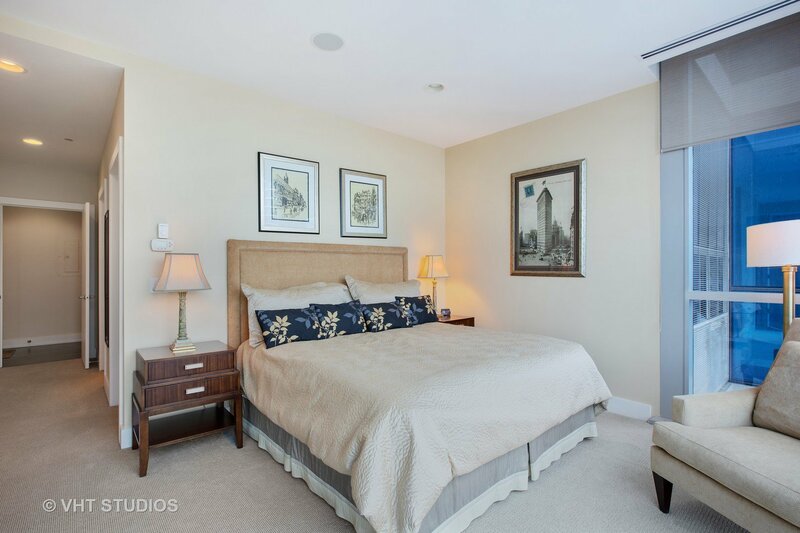 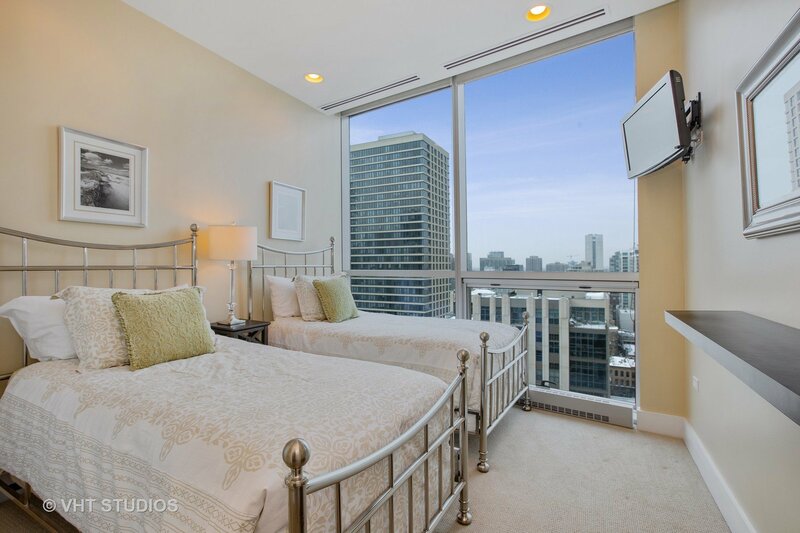 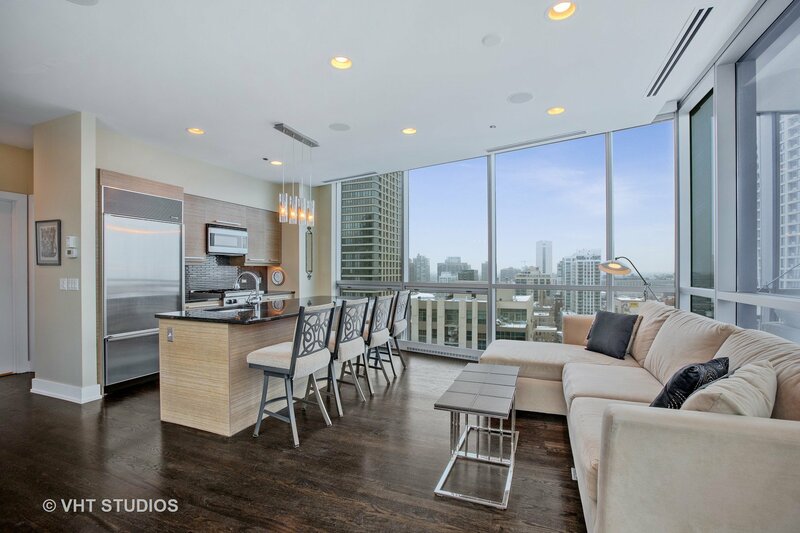 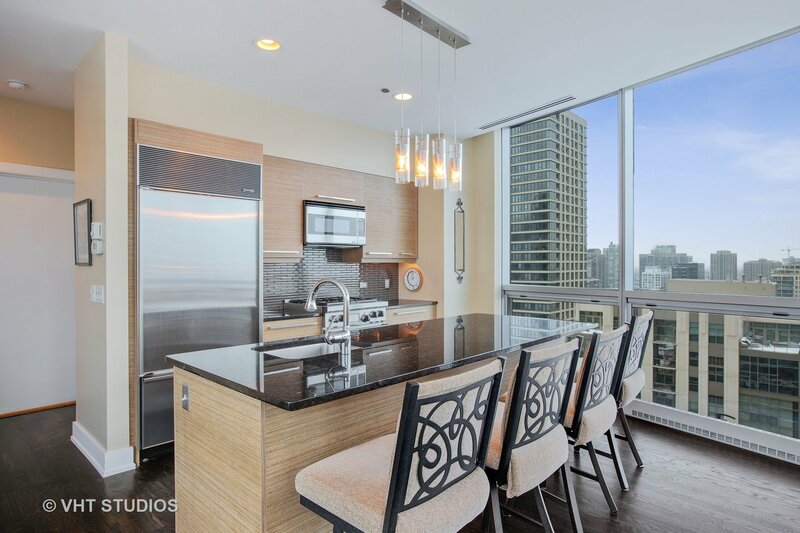 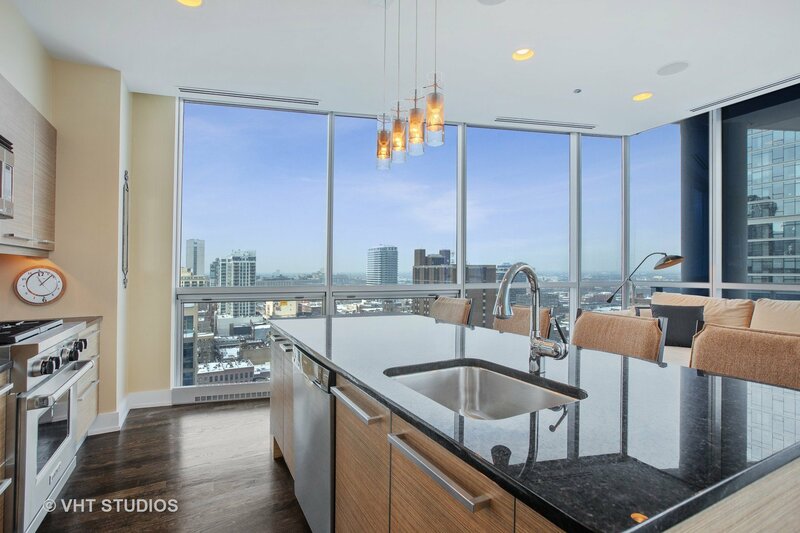 2BR 2BA corner unit with floor to ceiling glass windows in one of the most stylish River North condo buildings you'll find! 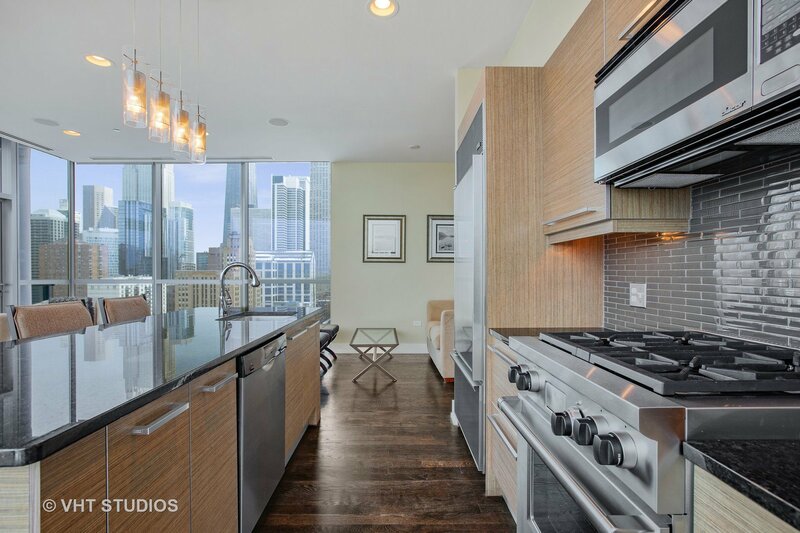 Open kitchen design with high-end kitchen Snaidero Italian cabinets, subzero/Wolf appliances, glass tile backsplash and island with overhang for bar stools. 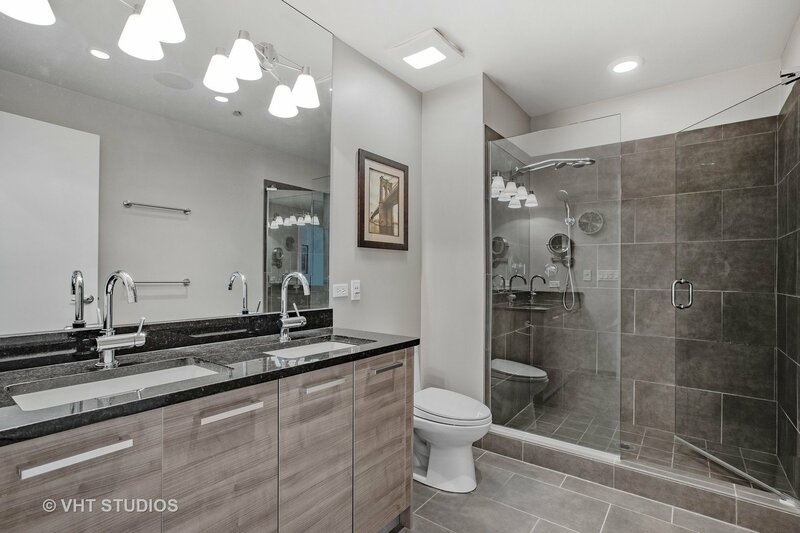 Marble baths with Snaidero vanities, Grohe fixtures, huge walk in shower, jacuzzi, recessed lighting and oak plank hardwood floors. 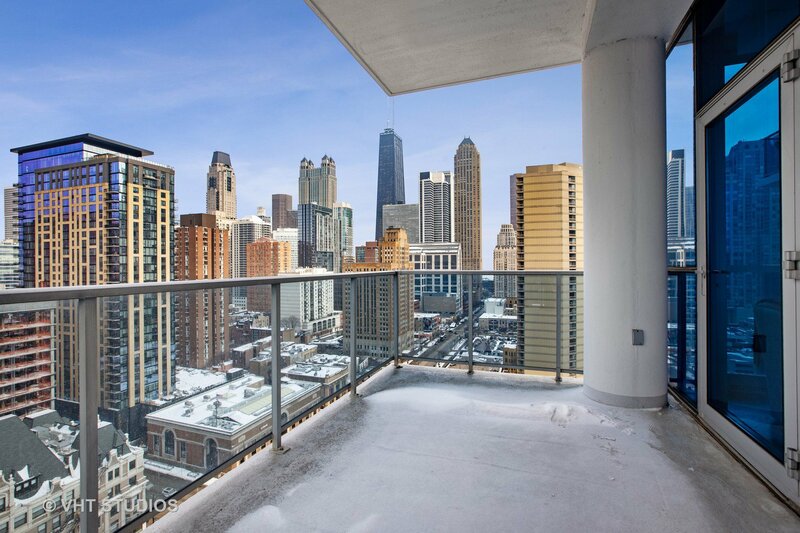 Private balcony space to enjoy city living. 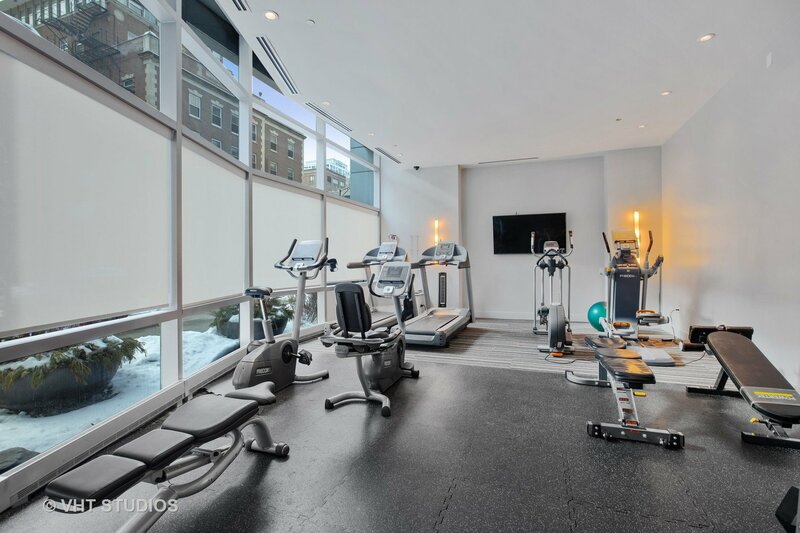 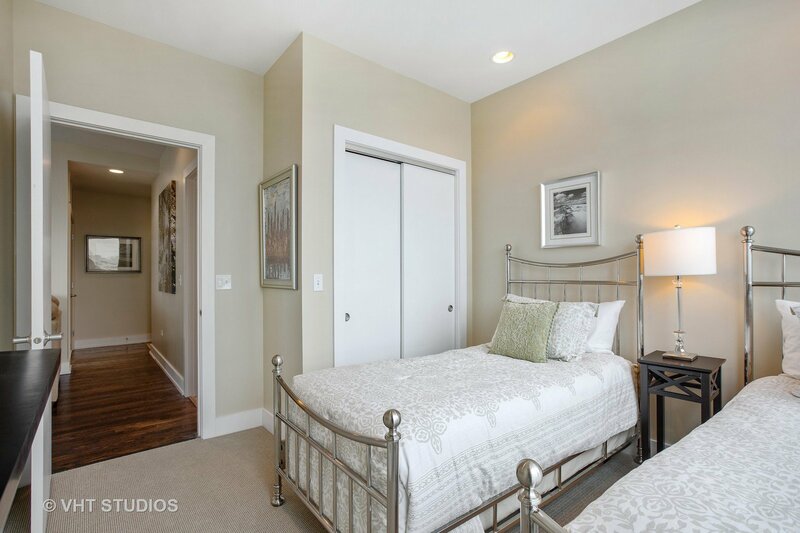 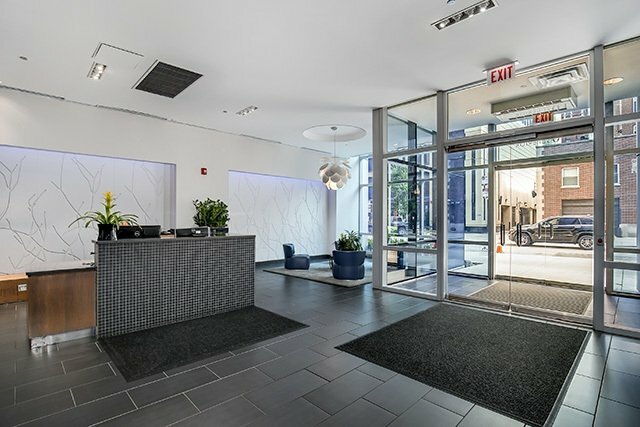 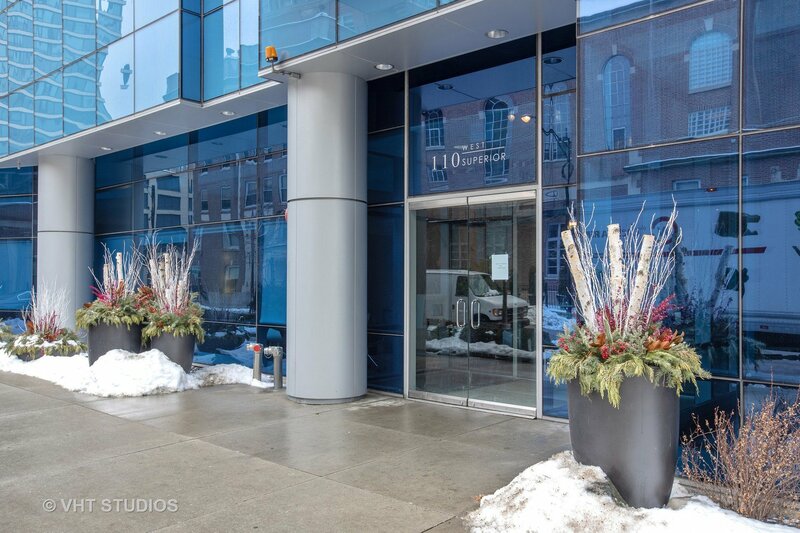 110 W. Superior is also loaded with amenities as well, which include 24-hour door service, a heated garage with deeded parking, a state-of-the-art fitness center.